What Is My Learning Style? Do You Understand Power Games? Here's How To Best Describe The Problem Using the 8D Method! In this section of the 8d method of problem solving we look at the probably the most difficult aspect of the whole 8D Process: the Problem Description. As Ishikawa said; you will have a problem half solved by defining it or describing correctly on the first day. So this step is really important for later successful outcome. The aim of this step: To clearly and accurately formulate the problem description. The intended outcome: Complete description of the issue at hand. Use representative analysis to define as accurately as possible the issue that the internal or external customer has. Get to the core of the matter and quantify it. Once you have reached an excellent description, go through the following checklist to see that all that is possible is done to ensure that this step is done successfully, you will be glad you did. Is the problem accurately described (quality improvement measure, return from customer, safety issues, productivity issues)? Which customer(s) have been affected? Where did the problem occur? Are all sources of information on the problem available and are they clear? Was the problem known previously – perhaps in a slightly different manner? Is the team constellation still the right one for this task? This is the third section of our form. If you need a template for your 8D report, check out our Business Training resources page where we have provided you with one, for free. This section of the 8d method is to document the Problem Description. 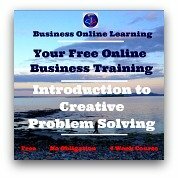 This section will be the one that sets the track for later problem solving activities. My advice is not to rush through this stage. Take your time as you might highlight possible root causes in the process of describing the problem! Your Chance! You can comment here on the above. Would you like to leave a message on what you have just read? Feel free to leave a comment, a suggestion, a request(...even compliments if you so wish) in the box below. Go to the top of the 8D method page. Introduction To Quality Management Concepts. So get your Certificate in Quality Management now, while the going is good! Data Manipulation Is Second Nature In Business, So How Good Are You At Critically Questioning Information? Get Advice Here. Efficient Time Management Skills Include Dividing Up Large Tasks Into Bite-sized Manageable Parts. Learn How To Do This Here. Martha has exceptional, in-depth specialist knowledge. Her work in eTraining resulted in immediate benefits and received wide acclaim by users worldwide, around the clock. Her analytical thinking is reflected in her good judgement ability - in particular with interconnecting scenarios. Her style of working and performance are characterised by meticulousness and reliability. We deeply regret her leaving. Where you as an individual can find the right business training to upgrade your skill-set and get that promotion you want. Or where you, the business manager who needs to get staff trained effectively, can do so within very reasonable budgets. And all this, backed up with so much reference material and support. My name is Martha and I have worked for over 30 years in various aspects of business and in various countries, right around the world.